Thanks to a swapper friend (shout out to Karen!) I was able to acquire the entire City Sweets collection. For some reason, my local CVS, Walmarts, and Dollar Stores did not have any of these little beauties. They each take three thin coats or two thick coats for full coverage, but the color play off is worth it. 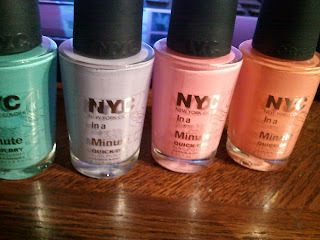 Being Quick Dry polishes certainly helps plead their case as well. 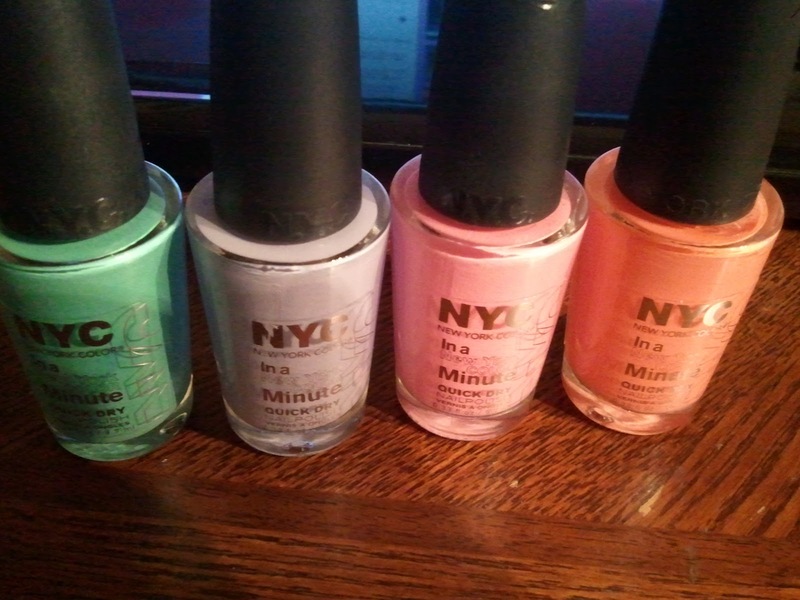 The names are, from left to right, Mint Macaroon, Lavender Cupcake, City Sweets Pink and Peaches N'Cream. They are all lovely! 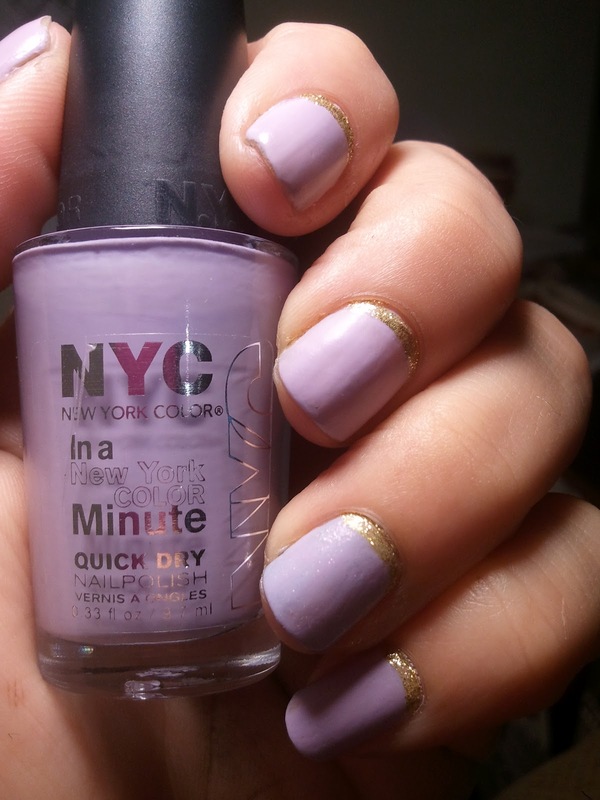 Do you own any NYC polishes? What do you think of them?? What The Heck Is On My Nails? ?